THE WOLVERHAMPTON RENTAL MARKET IS VERY COMPETITIVE AND IT IS IMPORTANT YOU USE A RELIABLE AND EFFICIENT LETTING AGENT. 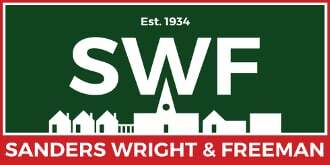 SANDERS, WRIGHT & FREEMAN are ARLA registered and our small, well-established, professional team know all about Wolverhampton and surrounding areas, and the type of properties available to you within your budget. Rent for properties in the Wolverhampton area is usually quoted on a price per calendar month basis. The standard deposit is six weeks rent. Administration charges for the tenancy agreement and credit search fees are payable in advance of moving in. You will need to provide us with your passport/driving Licence and recent utility bills for identification purposes. We will register you on our data base and show you all suitable properties matching your requirements. Once you have found the right property we will put forward your application to the landlord. Any requests need to be put forward at the time of your offer; the landlord is under no obligation to consider them after the application has been agreed. We will carry out a credit search and subject to an acceptable reply will prepare the tenancy agreement. The credit search will involve the completion of a form to include details of your employment and previous tenancies. You will need to read and sign the tenancy agreement. Cleared funds for the initial rent and deposit will need to be provided when the tenancy agreement is signed. We arrange for you to come into our office to sign all paperwork and hand over the keys. You will be introduced to the member of our team responsible for managing the property. If it is managed by the landlord you will be given their contact details.